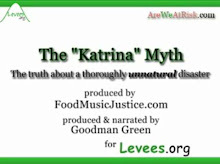 A while back I ran a post about the "recycling" if - you will - of the live oak trees that became victims of Katrina. Instead of tearing them down, local chainsaw artists have created beautiful sculptures from them. BILOXI — The idea of creating art from trees destroyed by Hurricane Katrina grew and spread in two years, from the Biloxi Bay Bridge all the way to Waveland, and now there are more than three dozen wood carvings along the beach. They’ve become one of the top tourist attractions on the Coast and a symbol of the comeback of South Mississippi. The drive along U.S. 90 to see all of them takes locals and visitors over the new bridges, along the water and past homes that were rebuilt and waterfront lots still empty. Some new sculptures are in progress and more are in the works. Marlin Miller of Fort Walton Beach, Florida spent much of the past year donating his time to carve the tree trunks. This weekend he is carving the final feathers on an eagle at the Pass Christian War Memorial Park. On March 28 the eagle will be dedicated in honor of the late Colonel Lawrence Roberts, father of “Good Morning America” anchor Robin Roberts, and his fellow Tuskegee Airmen, the country’s first black military air corps. A little to the east on U.S. 90, the eagles Miller carved soar with 17-foot wingspans near the entrance of the University of Southern Mississippi, whose mascot is the golden eagle. Miller said the university received so much positive feedback he was contacted by President Martha Saunders about doing a project for the main campus in Hattiesburg. Also working on new carvings is Dayle Lewis, a professional chain-saw artist from Richmond, Ind. He gave an old oak tree wings when he carved a pair of angels into a tree near the beach in Bay St. Louis. “It became the Guardian Angel Tree,” said Lewis. The story goes that 100 years ago a member of the DeMontluzin family kept the tree from being cut when the road was built, said Douglas Niolet. “I guess she saved it for us,” Niolet said, because he and two others found their way to the oak and hung onto it for more than three hours during Hurricane Katrina. The tree died after the storm and the survivors asked Lewis to carve it into the angels that watched over them. Lewis said many people have told him how much joy and spirit the tree has brought to Bay St. Louis. He has done quite a few carvings in people’s yards and created angels for their homes. He’s also donated his time and talent to help groups. The first year he worked in New Orleans and the second year raised money for a fire station in Kiln. This year he’s carving alligators, pelicans and herons to raise money for the Amish group CARE, so they can continue to rebuild homes on the Coast. This is a map of the wood sculptures along the Coast, spanning more than 30 miles from Waveland to Biloxi. Zoom in and use your mouse to pan the image. Click on the green pins to see photos of the three dozen sculptures along the route. Miller started with a dolphin, birds and a sea horse in December 2007 and became more adventurous as he worked. In his latest piece in Biloxi, he carved a multi-layer sculpture with shadows among the osprey and he gave Waveland a carving where there wasn’t a tree. As about 1,000 volunteers spruced up Waveland for the national kickoff of Keep America Beautiful on March 3, Miller worked on a sculpture at the intersection of U.S. 90 and Mississippi 603. A dead tree was moved to the site and cemented into place. With his chain saws, Miller worked several days on the carving — and past 10 p.m. on a cold, windy Sunday night. “People thought I was crazy,” he said, until they saw the three dolphins and a large turtle emerging from the dead tree. “There’s no other carving like it,” he said. Visitors enjoy the new attractions, as well. “I think the carvings are awesome,” said Darlene Sauve of Rapid River, Mich., a snowbird staying in Biloxi for the winter. She was one of several people snapping photos of the carvings in Biloxi last week while a crew sprayed the sea-life sculptures with sealant to protect them. Brian Thacker with Biloxi Public Works said the sealant, applied once a year, fights moisture, bugs and salt spray and even has a UV protectant so the carvings will survive the beachfront elements. “We’ve got a new landmark,” said Biloxi Public Affairs Manager Vincent Creel, who has documented the carvings on the city’s Web site. The first sculptures were done by Sandersville, Miss., chain-saw artist Dayton Scoggins; Miller carved 16 of the 21 tree sculptures in Biloxi. Miller said he’d like to carve sculptures at the welcome centers at the west and east entrances of the state so people traveling on Interstate 10 will be inspired to drive down to the beach to see the rest, and help local businesses. and Marlin Miller of Fort Walton Beach, Florida. This is amazing! I can't wait to see it. I'm going to volunteer in Biloxi next week. I'll make sure to have time to check this out. Great sculptures, they look amazing, very profesional with great subjects. I actually had the chance to see the Guardian Angel Tree on a Spring Break road trip this year. Amazing! It was just by chance we even noticed it--hadn't researched it or heard about the carvings at all. Just traveling from Texas to Destin, Florida via I-10 and US-90 to check out the rebuilding efforts. Seeing the damage that still exists and the new life that has come about through reconstruction efforts is a life-changing experience. There's nothing like seeing it in person. Thanks for keeping everyone aware of our rebuilding efforts! I often meet people who visit the Coast and don't realize that the process is ongoing. We are out of the news, and most folks think we are rebuilt. Special thanks to Marlin Miller for the beautiful work he has done! These sculptures are amazing and wonderful! What an interesting story it adds. What a beautiful coastline. A Southern secret, I think. Now I've seen it all. Dolphins growing from trees, who would've known. Kidding aside, the sculptures are really brilliant, which made me think, why didn't they thought of this a long time ago? That instead of tearing down trees to make room for statues, why didn't they just turned the tree into it? Must be one of the many mysteries of life.